Did you know that on the first Independence Day (July 4, 1776) only two Founding Fathers were present to sign the document? Originally, on July 2, 1776, Congress voted to approve a complete separation from Great Britain. Then, two days later, the early draft of the Declaration of Independence was signed - but by only two individuals: John Hancock (President of Congress) and Charles Thompson (Secretary of Congress). Then, four days later on July 8, members of Congress gathered on the steps of Independence Hall and read the Declaration of Independence aloud to the city of Philadelphia. Next, they rang the Liberty Bell to further declare freedom! Today marks a great moment to celebrate and commemorate our God-given freedom! Enjoy family, have a picnic, and watch fireworks. But will you join us in taking a moment to pray for our country and praise God for our liberty? Read the Declaration of Independence today. Think about the importance and meaning of the document...and what it still means today. Today, ring your own Liberty Bell and cherish your own God-given freedom. Thank God for the people who have sacrificed and worked hard to keep us free. A tired WWII veteran looked up from his recliner and made eye contact with me. The time had finally come to share vivid memories of the war: "I heard my friend, only 19-years-old like me; he screamed, 'My legs are gone!' Then I stepped on a mine. I felt it tear into me. I prayed...not so much for myself, but for my family...my mom, my dad. I lived...but [my friend] died..." Such sacrifice deserves our appreciation. Let's recognize that freedom isn't free. Today, let's pause and pray for our veterans. Freedom from sin and death wasn't free either: Jesus paid the price for you and me. Yes, Jesus died for you to be set free from sin. But, in order to trade your sin for a Heavenly win, you must come to the Giver of true life: Jesus Christ. "Just as the Son of Man came not to be waited on but to serve, and to give His life as a ransom for many [the price paid to set them free]" (Matthew 20:28, AMP). Jesus fought your battle for freedom when He took your capital punishment on the cross. He bled so you wouldn't. He paid what you couldn't. He conquered the enemy - including sin and death. On the 4th of July, a lot of drinking occurs. But nothing drowns our sorrows forever. We need true spiritual water. Consider this amazing Scripture combo: "As the deer pants for streams of water, so my soul pants for you, O God" (Ps. 42:1). Jesus quenches the thirst: "But whoever takes a drink of the water that I will give him shall never, no never, be thirsty any more. But the water that I will give him shall become a spring of water welling up (flowing, bubbling) [continually] within him unto (into, for) eternal life" (John 4:14). This 4th of July, let's thank veterans. But let's not forget our ultimate freedom-giver: Jesus Christ. "Freedom can exist only in the society of knowledge. Without learning, men are incapable of knowing their rights." 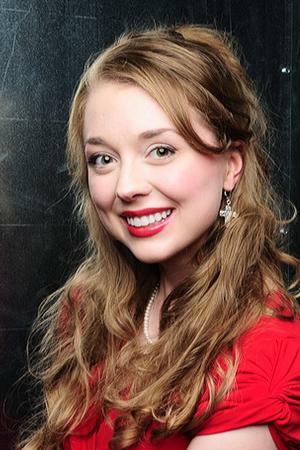 As a young professional speaker and singer, Stacie Ruth fills venues and books with freshness and faith. Her style- simple. Her delivery- dramatic. God-given impact - huge! On international media, she infuses interviews with enthusiasm and evangelism. At 20, she spoke and sang the National Anthem for President George W. Bush, Mrs. Bush, and other dignitaries. Then, she and Carrie Beth recorded their first CD (Heavenly) with Grammy-winners . Please click here for more information. This DVD contrasts the Founding Fathers' views on public policy with the current decline in honesty and integrity in government. 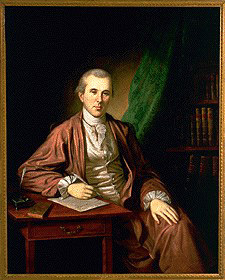 Founding Fathers such as Benjamin Rush, Noah Webster, and Fisher Ames outlined principles for successful government as a legacy for future Americans. Revisit the counsel of great men and learn how to reclaim the quality of government we once enjoyed. Click here to buy your copy!